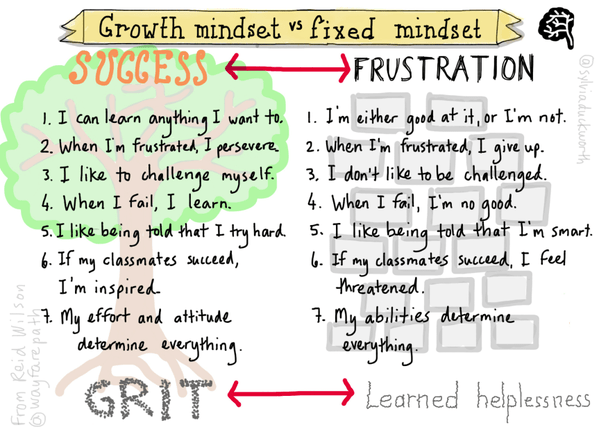 A growth mindset is one that believes that every day we can improve and get better. A fixed mindset is one that believes we are the level we are and it is not changing. As a tennis coach, my players need to have a growth mindset. This ensures that adversity is looked at as part of the journey and that everyday we can do something to get better in what we do. Players with these mindsets also focus on process based goal setting rather than outcome based goal setting. They need to have the belief that with good practice, they will constantly learn and improve. As an employer of coaches I look for ‘trainability’ rather than their current level. If a coach is open minded and willing to improve then I know they will become great at what they do. As a tennis academy we are constantly developing our coaching methods to ensure worlds best practice. We are constantly innovating and I strongly believe that if as coaches we are improving all the time, then our students will not outgrow us as we will bring something fresh all the time. A fixed mindset coach has the risk of running out of ideas and using the same methods as yesteryear. As a tennis business owner, I read and watch the latest in online marketing, staff development, customer service, business systems and a variety of topics. I would read/watch something every single day to improve so after 365 days per year I know that my knowledge has got better and this will result in a smoother business with better growth potential. There will be many people to remind you that you are supposed to have a fixed mindset. It is important to realise that although many well meaning people may advise you against having a growth mindset, it is essential to performance in any domain.